Getting the basics right. Correct cuts and better zanshin. Recently at training we had the first night for some newcomers linked in with the borough councils Re-Active8 program. As usual as soon as I start looking at the newcomers, it makes me focus much more on my own form. If you’re going to show someone how to do something, you have to get it right or you’re just teaching someone bad habits. It’s a great thing to be in a dojo where the correct form is cared about instead of simply trying to score ippon. Now I’ve talked about eureka moments before and I had a big one this time. I’ve realised that for some time now, I’ve been doing my cuts all wrong. Not just a little bit wrong, ALL wrong. We are constantly told not to use our right arm to cut, just simply to use it to guide the cut. All the power comes from the left. I’ve generally thought I was doing this and recently I worked on improving it in this aspect to good effect, but now I’ve realised that I’ve been not extending my left hand correctly. I’ve been keeping the arm bent. It’s another one of those bits of information I’ve heard over and over but it’s never stuck exactly as to why. If you stand with you right arm straight out in front with your left hand where it should be, your shoulders straight and your left arm straight, your shinai will be pointing pretty much up. Not good for performing a cut and means that you compensate by bringing your arms down and hitting the front of the men. To counter this, pushing the left hand forward instead of concentration on bringing it downwards will also push the right hand forwards, twisting the shoulders slightly and causing the final snap to happen, striking the correct part of the men. This also gives you a bit more range and means you don’t have to come in as far to cut, giving your opponent less opportunities to perform their own cut. It is these subtle things that make all the difference. Unless you are a complete natural and instinctively feel what you have to do, you have to get scientific about these things. Appreciate the mechanics of how the body works and also what your body can do. Only a couple of sessions later and I was very kindly shown my lack of decent zanshin by being hit repeatedly on the head. It leads back to one night when something similar happened and I wasn’t coming back to chudan effectively. First after a going through, on the turn, I’d been keeping my shinai to my right just leaving my center line open, the shinai coming back into chudan from my right shoulder. This leaves me open. I’m not trying to get back to chudan as soon as possible after the cut so when I turn I’m already in the correct position. Second one is that after a dou cut, I’ve been withdrawing the blade towards me to my left side thus making myself open. I adjusted this to try and draw the tip of my shinai down the front of the men. I’m really starting to work on my zanshin which I’m realising is decidedly weak at the moment. Fast forward to the most recent session and I had probably the best session I’ve ever done, in my own opinion. We spent the first hour and a half working on bokto kihon. A good thing for me as I feel like I know the kata way better. After this I’m no quite sure what happened, if it was the speed that we did the warm up or my own state of mind but I was fired up for jigeko like never before. I landed way more decent cuts than I ever have before. My kiai and ki were well up. I even remember doing a kiai at one point when we had finished a bout. Every single one I just felt like I had to dominate my opponent and not let up for a second. When I did let it drop, I got hit more so I just didn’t let it go. Maybe it was because it was only 4 of us in bogu and the more experienced amongst us that meant I didn’t have to hold back at all. Also just to make it even more interesting, I pretty much ignored all ideas of doing any waza. The basic 4 cuts, debana and not much else. Now with my newly found men cut distance I was cutting out of range of my opponent. A night where everything changes. This is why I love kendo. What makes a good fumikomi? At last Mondays training session we went back to basics a little more. We have a couple of beginners coming fairly regularly again so we did some basic footwork exercises. During this I had a small eureka moment when something finally occurred to me about how fumikomi is meant to be performed. I’ve always known what and how to do a decent fumikomi and mostly these days it’s second nature but I’d always missed the part about when your front foot lifts. 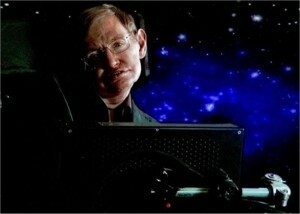 It’s a very small part that as usual has a great degree of significance. If you watch most people doing their fumikomi, their foot lifts quite high into the air quite high before coming down again. We all know that this is not correct. The theory says that you should slide the front part of your foot along the floor and then only lift just as you are about to hit. The thing I never appreciated before is exactly what you are meant to do to make your foot come off the floor. Most of us will simply lift the foot using the right leg and probably just lifting the toes slightly. Everyone does this, mostly. I now realise this is wrong. What you should be doing is using the push from the back leg not just forward but in a slightly upward direction just at the end, keeping the front leg fixed and the toes level. It’s like the final snap of the cut with the wrists. Shoulders, elbows wrist all unfurling in order. The step should be hip, knee, ankle with the ankle effectively making the final snap, pushing the body upwards at that last point. In that split second, your back leg has extended all the way and wants to come off the floor, your front foot is off the floor, the fumikomi is a natural reaction of gravity. There is no actual intention to hit the floor. This also makes me realise why there is such a distinction between these flying shiai cuts and the kind of subtle cuts I see from the higher level sensei. The fumikomi is just as powerful, but the movement is very small. This leads me to another question. Should a fumikomi be really hard and reverberate through the entire dojo floor or should it be just enough to efficiently rebalance the body and demonstrate the cut? A question for sensei I think. Proper men cuts, distance and tenuchi. The other Thursday at training was one of those evenings where everyone seemed a little less than 100%. You could feel it coming during the warm up and kata. Everyone was a little slower, injuries seemed to be more troubling than usual. My own right ankle was playing me up for some reason. It just felt tight an difficult to move. The feeling was obvious and sensei seemed to get it and as such didn’t run us ragged, instead he got very technical. He made us concentrate on doing proper men cuts with proper tenuchi at the proper distance. We’re all guilty of various different violations of these rules so it was really nice to concentrate on these specifics. Personally I’m guilty of getting too close and hitting men too hard. Someone told be a couple of weeks ago that my men cuts are too hard and my kote hits too soft. Some consistency is required. The other thing I have been really guilty of is not doing is correct taiatari. I’d never really considered the correct way of doing it before and sensei fixed my lack of stability here. What I was doing was not keeping my elbows locked in correctly so that my hands would come back against my dou. This gives no stability and means that I get too close. Tucking the elbows in creates a triangle with the forearms and a solid base to push against. Next came the distance. I’ve been hitting with the wrong part of the shinai too much. At my last session with Bofa Sensei, he kept telling me to move my body before the shinai, which I had tried to do and it was only this time that I realised that I’ve been getting too close because of what I’ve been doing. I’ve been pushing forwards, hard from too close and starting my cut straight away. This leads to me leaning forward while doing the cut and forcing me into an overly hard taiatari with my hands too close to my body. WRONG!!! What I should be doing is starting the cut from further out, pushing in with the body first and then cutting so that the correct part of the blade hits the top of the men, then taiatare correctly. This means I can stop quicker and also have more room to go through properly as well. Next part is the correct tenuchi which is something I think I struggle with for a lot of reasons. We’re all guilty of lifting the shinai too high before cutting so that the shinai point is too far back. This slows down the cut reaction and then requires more power to perform the cut and makes the tenuchi wrong because there’s too much power in the cut. This has given me a heck of a lot to think about and areas to improve for the foreseeable future. It’s interesting that Sessei Marley has often told us that kendo can become like a plateau of non-improvement for some time and also no idea of what to do next. I kind of felt a bit useless after the last major training session and now I have a great chunk of things to think about. Spirit, dojo unity and weakness. This weekend we were visited by our shihan, Boffa Sensei. He took us through a fairly rigorous training session consisting of footwork drills and a specific drill designed to make the specific distinction between small and big men cuts. Along with this was a small eureka moment about when and why you would chose a kote or men cut. I’ve always wondered how you can do either from your normal cutting distance. I’ve always kind of thought that I have to be at the correct distance to perform a cut but for some reason I’d never considered that the simple difference is just performing a different distance on the step of your hit. Stupid really. In all honesty it was one of the hardest training sessions I have done and afterwards we were rightly lectured on the need for greater spirit and unity. The hall we were in was quite a size and as such, we ended up spreading out rather a lot during keiko. Doing this made our rotations slow, kept us further apart and sensei said this reduces the overall spirit in the dojo making us weak. It’s a very interesting point as I have done more physically demanding sessions but not been as tired or felt so physically drained. I had never figured that the simple physical closeness of the kendoka in the room could build the overall spirit. I think back now to the old dojo which despite its faults, was a good spirit venue. Being quite small meant that we were close together, fighting next to each other and helping to build each other’s spirit while building our own. We practiced in there in the coldest part of the winter with broken heating, so there must have been something about it. In the larger hall, all spread out, no one else is close enough, you can see only your opponent and as such you become inner focused and the overall dojo spirit suffers. You could feel the difference on Sunday and Monday. Everyone was a bit tired, a bit injured or both and as such the spirited movement was not there. Despite training everything as hard as I could, when it came to jigeko at the end, I was somewhat disappointing. 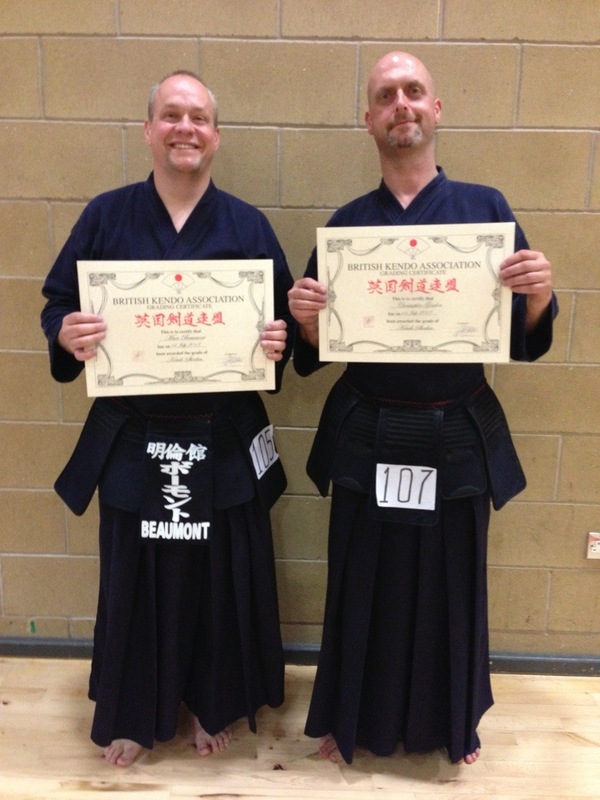 Sensei constantly told me off for doing something I was trying hard not to do. Even when I thought I was not doing it anymore I was still told off for it. ThIs was even worse on the Monday evening. It was one of those evenings where I could very easily have thrown my men on the floor and quit for good, because I felt so low. The blister on my foot made everything worse and I didn’t propel myself like I should have done. In short, I felt like I was terrible. If you asked sensei he would say the same, I’m sure. The flip side of this is though, that I have to feel something good from this weekend and feel like I have learned something. I trained even though I was completely tired, for both days. Monday night was the worst of it though. I ache everywhere and do feel much worse than when I started, mentally and physically. Despite all this I did this because it’s a test. A test of my physical and mental limits. Those limits are meant to be broken and meant to be pushed till you can’t go any further. Training when I feel weak and not 100% helps to show where I am lacking. I don’t want to do it all the time. Why would I want to train so much it makes me want to quit? I want to enjoy kendo. Sometimes though you have to go to that point. Being so tired and drained that you want to quit means that you have to gather more spirit to come back from that and regain the level you were at. I’m starting to understand why some people just quit and never come back. 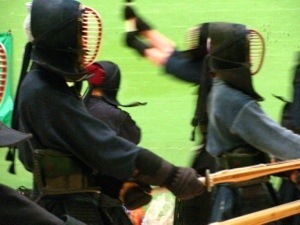 Kendo is not an easy thing to do and sometimes the training does kind of chew you up and spit you out. I am left feeling quite low and despondent after this weekend. It proves that my spirit is not good enough but in order to to get a better spirit I must train harder and raise my mental game. 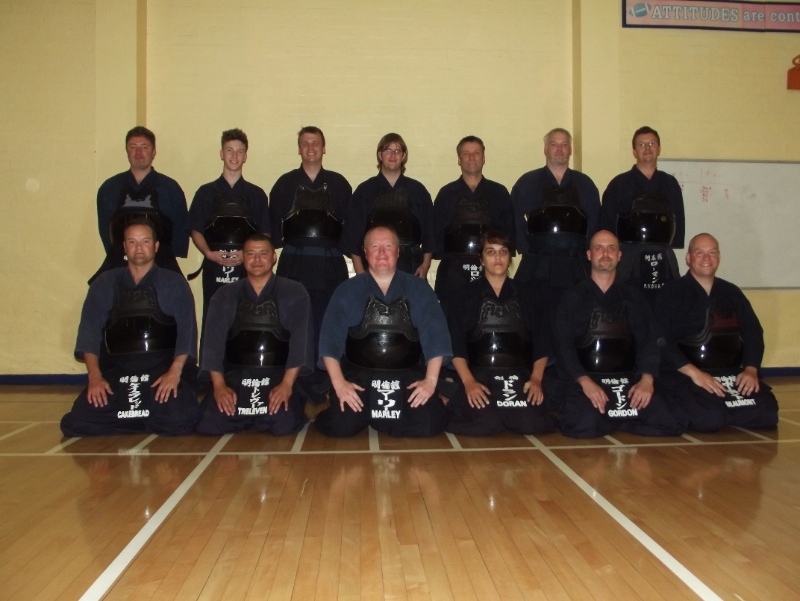 On Saturday 31st August 2013, Meirinkan, Bedford Kendo Kai, celebrated its 2nd anniversary. It was made even more special that we were able to have the celebration on the actual anniversary and in Bedford’s new Japanese restaurant, Hoku Hoku. Even better was seeing our more sporadic members there as well to add to the festivities. Following this on the Thursday we managed to get a great turnout at the dojo for keiko and our club picture (see above). As we are often reminded, it is us who keep the spirit of the dojo alive. We turn up, sweat, shout and train hard and that what makes Meirinkan. At this time, I should go back to the beginning and describe how I have seen the evolution of the club. I still remember that first open day and the fact that I nearly missed it. I had been out getting dinner for the evening, at the local chipy, and there on the wall was a poster advertising the first open day. It was that very night and after a couple of quick discussions with my wife while waiting for food, I decided to go along while my wife went shopping that evening. To be honest, evening was a bit of a blur as I really only had time to be there for about an hour and it was all so new that I barely remember any of it, but I do remember thinking that I would be going back. I reflect on that night thinking that we were a group of fairly dissimilar people in most ways, that probably would not have met other wise, but we would be spending at least one whole evening a week with for the next 2 years. Many of the established kendoka where there helping out and demoing to us and although we’ve lost a few along the way, the same faces and familiar people will always crop up and be around. I’ve already discussed the fact that as kendoka, we are in a minority. Sensei always tells us that it is not the hall that makes a dojo, but it is us kendoka who bring our spirit to the dojo and make it a place that means something. The spirit of Merinkan is strong for the simple reason that there is a dedicated core of us that train week after week and when we do, we give it everything we’ve got. Collecting blackberries, hard keiko and blood offerings. This weekend I was reminded while out collecting blackberries with the family and the dog that most of the good things that come in life, need a certain amount of pain to achieve. 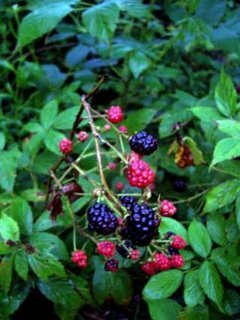 As I stretched my hand over a particularly large bunch of berries and caught my left hand on a stinging nettle, my right on a bramble thorn and my bare legs across a load more nettles I began to wonder why stinging nettles seem to love growing under brambles. Maybe it’s a mutual protection pact between plants, if you believe that plants had some level of rudimentary intelligence, or maybe it’s just life following a rule I’ve always believed. I also hold this strange thought that any time I do any kind of DIY work, or make anything, if I don’t cut myself one way or the other, it won’t work. Someone once told me then that I must believe in a good old fashioned Pagan blood sacrifice. It’s a bit of a joke but the concept is not new and has been around for thousands of years. People would deliberately spill their own or an animals blood to appease their gods. I’m no religious nut though. I don’t believe in gods or spirits, but I do believe in energy and that you can effect change in things indirectly through utilisation of various forms of energy. As mentioned before, I’ve dabbled in the magickal arts, researched all sorts of different philosophical viewpoints, behavioural ideas and physical areas of science. The majority of what I have learned has points out that nothing is achieved without practice, but I also believe that pain and hardship is an important part of that learning process. It’s also the process of learning that certain things are not bad, they are indicators that something is happening. 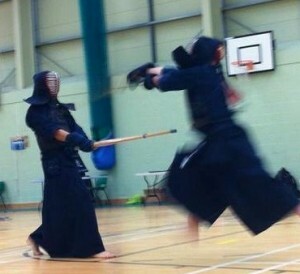 Spirit or ki is the important thing in kendo and training the spirit through hard keiko is a big part of it. As I’ve mentioned before, a good kiai raises your spirit which gets you through any pains. Anything that is hard to do or is a bit painful makes more of a psychological impact on you. It seems more worthwhile somehow. 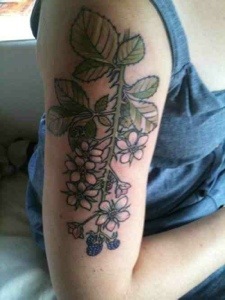 If a tattoo could be applied without any pain at all, would so many people have them done? If they did, would people be more likely to have them removed? Would tattoos become something less permanent? The majority of people I know with tattoos really loved having them and the pain of having one done is an important part of the psychological process. Things have to be hard to do or they are not worthwhile. More to the point, they have to be hard work for yourself to have a distinct psychological impact. This is how it is in kendo. If you are not constantly pushing yourself to the limit of your endurance, spirit and mental capabilities, you will never progress. 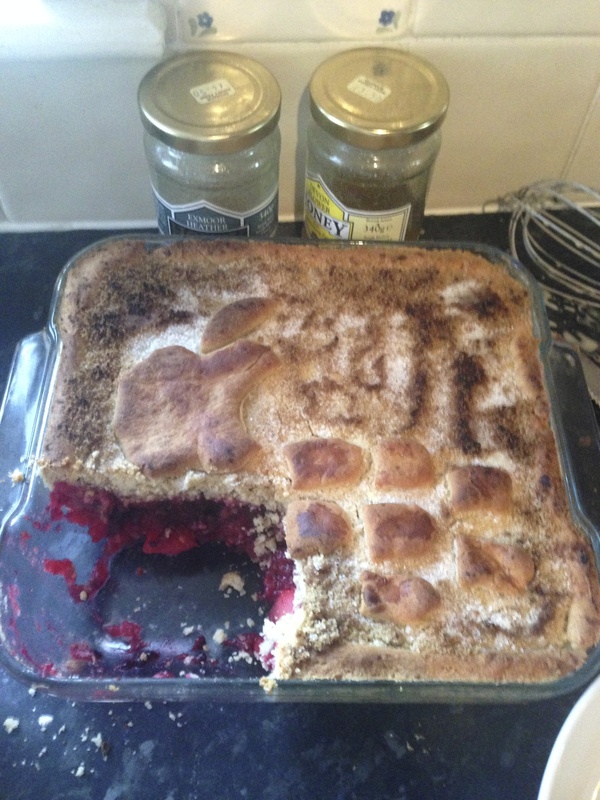 Now if you don’t mind, I’m going to sit back and eat my blackberry and apple pie that taste oh so much sweeter because it cost me a little pain to acquire. Over the past few months, I’ve been actively trying to develop my kiai. When you first start doing kendo I think you find the concept of kiai quite pointless and also a little difficult to do. This is probably due to ingrained Britishness about these kind if things. It took me a while to realise how much kiai actually can improve your performance in all aspects of kendo. Despite finding the majority of suburi easier than I used to (maybe not sonkyo or matawari) I’ve realised over time how a good kiai helps during those times when you start to feel it. I find it interesting now that although you are generally told at the start that your kiai is a demonstration of your spirit, kiai can also feed your spirit, building it up. A good shout brings about a change of mind, putting you in a mental state risen for battle. Try and lift something really heavy and you end up shouting. The kiai feeds the spirit which feeds the kiai. I guess it’s just a very base level of neuro linguistic programming. I’ve also noticed that the majority of more experienced kendoka I have met had a very distinctive and piercing kiai, generally of a much higher pitch and volume that carries round the dojo. The majority of us newer guys have generally much deeper kiai that is more like a standard shout. I’ve read as much as i can a recently and have been trying to put it into practice, but what exactly is a good kiai? What are you aiming towards? Very little seems to be devoted to the subject except some fairly basic explanations. So now during warm up and suburi, I no longer consider the counting as just counting. It’s kiai warm up and training. During each section of the warm up, sensei calls itch-ni-san-shi and we respond with go-roku-shichi-hachi. I read that kiai should not be separate from breathing and now try to incorporate the kiai as just another aspect of breathing. Breath out during itch-ni, breath in during san-shi, the remaining four counts are kiai level and then any remaining air goes out on the itch-ni, the cycle repeats. In doing this it gives more to the power of the breath, enabling it to begin to resonate in the body without feeling like I’m forcing it out. This is also helping to train my breathing in a defined way. I’ve often heard it said by various singers that powerful singing does not come from the throat, it comes form the bottom of your lungs. I’ve noticed that when I manage to properly produce decent airflow, I am naturally raising the pitch of my kiai and I can feel it vibrating through my head, specifically the parts just between my eyes and at the top of the nose on the inside. I’m taking this as a good sign. Next during suburi I concentrate on the counting again, using the count at a kiai level, breathing in time with my cuts. It feels more effective and I think it’s a part you can forget about during suburi, part of the ki-ken-tai. By the time this is all finished, I think I’ve warmed up my voice as well as my body. During each rotation in kihon, my reigi during each bow reaches kiai level. When sensei asks a question the response is ‘Hai!’ at kiai level. Now comes the part I am exploring now. What is a good kiai? What should its effect be on your opponent? What’s a good word or sound? My sensei put it that it should be something that is yours, instinctive and a vocalisation that feels right. Standard training goes with ‘Ya’ and this is good start with, but quickly feels inadequate. It feels like the ‘a’ sound can drag out, softening your kiai, making it feel less penetrating as a good kiai is meant to be seme as well. Go up against a high level kendoka and their kiai will do that to you, it feels disturbing like the cry of your own child when they are obviously in distress (parents will know what I mean). It stirs something primal. There is definitely something very distinct about kiai at this level, there is a sharper intent and it’s unexpected. I’ve also failed to find any really good examples of kiai on the internet. I’ve found one interesting video from Sumi Sensei and his kiai is seriously intimidating and if you go any deeper in terms of reading on the subject, it’s gets very metaphysical very quickly. If you want a good example of what kiai should do, I suggest this. It’s the scene from Star Wars where Obi Wan scares the sand people away from Luke as he lies unconscious. I re-watched this the other day with my son and found it really interesting how much of japanese culture has been lifted into the film. Vader’s outfit, Jedi costume is very much like a kimono the use of sword like weapons when guns exist and are quite destructive. The point is that Obi Wan is using his own form of Kiai and it is so good that he doesn’t even have to fight the sand people. He sees off three armed individuals with only the power of his kiai. It’s unnerving, intimidating and powerful. Just ignore the blueray version. So kiai is just an extension of your spirit within the trinity of ki-ken-tai, pitched against you opponents three. If you train all three, you can defeat all three. As for the actual sound and wording of a kiai, I have settled on ‘Ah-Sai’ at the moment and from time to time ‘Ah-ra-sai’. It came quite naturally and developed over time from a simple ‘Sai.’ I’m sure there is some level of scientific possibility as research must have been done into what kind of noises are most disturbing to the human ear and also what sounds can be produced by the human voice. According to this article the range of sounds that are most distressing to the human ear are in the range of the human voice. I wonder if there is some scientific method to come up with a disturbing kiai based on the frequencies produced without resorting to simple trial and error. The thing is though, that different people find different sounds distracting and unpleasant. Some may hate the sound of nails on a chalk board but others may not care. The thing I find is that a strong kiai seems to me what makes the difference between kendoka who seem experienced and those that don’t. It’s also what I think really helps to define part of your individual nature as a kendoka and differentiates you from others. For further reading, I also found this text on kiai. Although it is mostly karate centric, it has a lot of interesting insights into kiai and ki. Although I may not have my kiai to exactly the level that I want it to be, I feel like I have a training technique now and I can see actual improvement. Yuko Datotsu and the incorrect information on the Internet. A few months ago when I did my Ikkyu grading, we were all told off quite distinctly by Holt Sensei for getting the written part of our exam wrong. Out of the 25 of us grading that day, he said only 5 of us got it right. We were scolded for just copying what we had found on the internet. I was a little disappointed by this seeing as I had researched on the internet, but had written it in my own words. Now after discussions with our shihan, I realised that really, only 4 really encompasses most of it. In fact, the part at the end that describes other aspects and terms is closer to the correct 5 elements. Datotsu-bu. Hitting with the monuchi of the shinai. Datotsu-bui. Hitting the correct part of the armour. Men, Kote, Dou or tsuki. Hasuji. The angle of your shinai must be correct. So I’m not satisfied with this description. The first 3 seem right to me. After this I have looked further. kenshi247.net describes it as follows: Making a valid strike. A valid strike which is considered ippon. 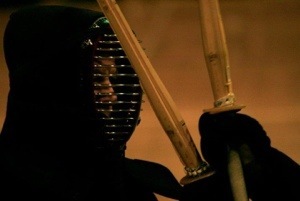 According to the rules, a waza is complete when the following conditions are met: showing a fullness of spirit and appropriate posture, striking a datotsu-bui (striking zone) of the opponent with the striking region of one’s own shinai while using correct ha-suji, and expressing zan-shin. He also recommended that despite these being the actual 5 elements of Yuko-Datotsu, that the additional parts around it are also good to mention in your written exam. Although this is only slightly different from the Kenshi247 version, it seems to be that Posture make the most sense as this effectively helps to demonstrate Zanshin at the end of the cut. After much deliberation, this is what I wrote and handed in for my Shodan. It must have been okay as we didn’t get a telling off this time. The five elements of Yuko Datotsu are what is required to produce and accurate and intentional strike. Ki-ken-tai-no-ichi. The sword, body and spirit should be employed together and directed towards the intentional cut. This also means that your posture should be correct before, during and after performing the cut. Datotsu-bu. Hitting with the correct part of the shinai, the monuchi, the top third. Hasuji. The angle of your shinai must be correct to be a valid cut. The shinai is meant to represent a real sword and without correct hasuji on a real blade, the cut would not be effective. Zanshin / Remaining Mind. To remain ready. Full spirit should have been committed to the cut but you should be instantly ready to cut again. The strike is meant to be a correct cut as if it were performed with a proper sword, as such the tenuchi of the cut should also be shown, not just a smashing cut. Without the control of the blade at the end of the cut, there can be no Zanshin. Sutemi should also be demonstrated as this helps to display your strong ki. Without the complete and total commitment to the strike being performed, you will be slower and thus the strike will most likely not be effective. Only by holding nothing back, will your cut be effective, but there must be Zanshin. An opportunity must be available before performing a strike. This is achieved through either your opponent giving you an opening, or creating an opening using seme, mental and/or physical or employing a waza of some sort. Harai is a good example of a waza that can be effectively used to create an opening. Kiai should effectively demonstrate your ki and commitment to the cut.